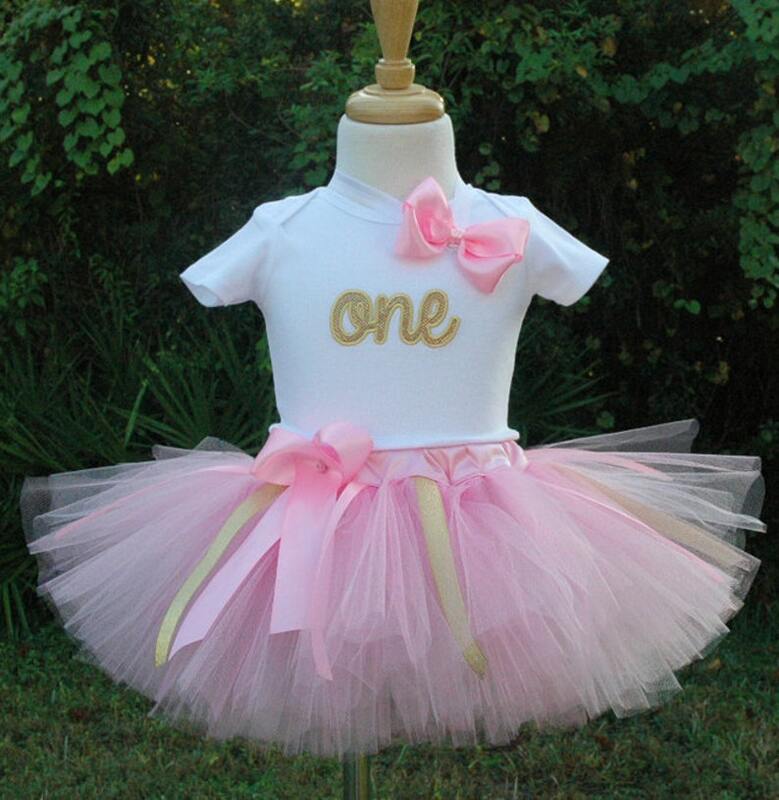 Beautiful Baby Girls One Of A Kind 1st Birthday Tutu Outfits. Custom Made. Each is delicately handcrafted to perfection.Looks adorable in pictures. Tutu skirt has been created with soft high quality tulle. Hand cut tulle in many soft pink colors including sparkly pink tulle. Beautiful pink and gold strands of ribbon surround the tutu. Gorgeous long bow in front of the tutu..This beautiful tutu is very full and has been sewn not braided! The waist features a beautiful soft pink fabric. The beautiful boutique hair bow is made with light pink satin ribbon and attached to an elastic band white in color about 3/4 of an inch in width. We do have wider elastic headbands please message us if you would like one instead.